The distribution of electricity subsidies and access to the grid is skewed towards rich households, resulting in an increase in extreme poverty. However, budget neutral mitigation strategies lead to larger reductions in extreme poverty compared to the baseline scenario. In 2016, the electricity crisis in Zambia reached its peak, with daily load shedding of up to 12 hours experienced in some residential areas. This was caused by low water-levels at the country’s main hydroelectric reservoirs, which triggered a power deficit of 34% the electricity demand. In response, the government put in motion broad electricity sector reforms aimed at achieving viability and full market pricing in the sector by 2021 (Ministry of National Development and Planning, 2017). In a recently published article, we assess the likely effects of the 75% electricity price increase on household welfare, namely for the poor, in 2017. Prior to the reforms, Zambia’s average end-use electricity tariff rate stood at $0.06/kWh, a low rate compared to estimates of the required cost recovery rate of about $0.11/kWh (SAPP, 2016). Such large subsidies no doubt translated into a large fiscal burden for the state and reduced the ability of the state power utility company (Zambia Electricity Supply Corporation) to adequately maintain existing infrastructure, let alone expand capacity to meet growing demand. The economic costs of under-pricing are far ranging, from widening fiscal deficits, to diverting budgets away from important social investments such as education and health. Increasing electricity tariffs to cost-reflective levels is a classic solution to the problem of underinvestment. However, such a policy can hurt poor. 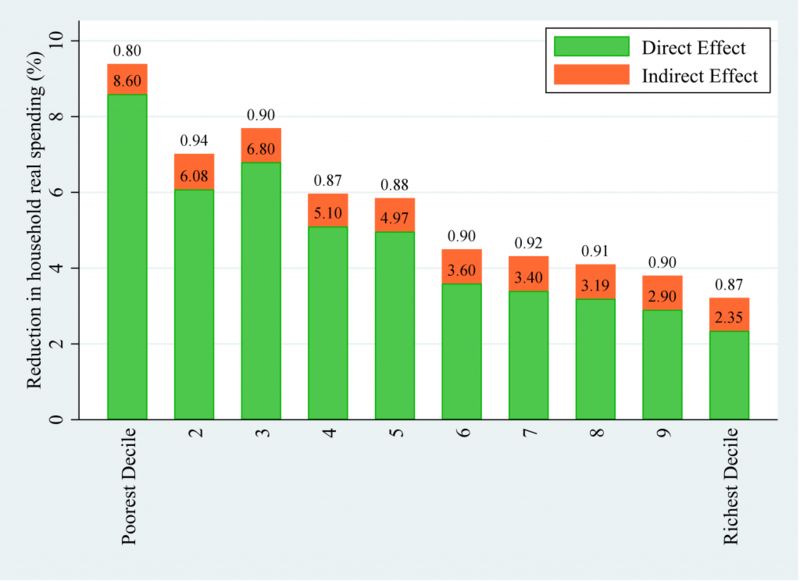 Our study simulated the direct and indirect welfare effects of electricity price increases using data from the 2015 Living Conditions Monitoring Survey (LCMS) and the latest input-output table for Zambia. The underlying idea is that increases in electricity prices not only impact households through increased electricity bills, but also indirectly raise the costs of the other goods and services in the wider economy. For example, electricity hikes can indirectly affect the cost of maize meal, whether or not a household is connected to the electricity grid. To get the direct and indirect welfare effects, we simulated the full 75% price increase in electricity tariffs assuming that the broader objective of full cost reflectivity across all residential tariff bands was fully achieved. We made the simulations using a price shifting model proposed by Coady (2008) and then assessed the effects on welfare in Zambia. We estimated the distribution of the subsidies before and after the 2017 price reforms. We found that the distribution of the subsidies is highly skewed towards the richer households. In particular, more than 60% of the subsidies went to the richest 20% of the households, while less than 1% was transferred to the poorest 20%. These patterns largely hold both before and after the 2017 changes and this is mainly due to the fact that, in the first instance, access to the grid is skewed towards the richer households. In addition, given that richer households consume larger quantities, even within the first highly discounted tariff block, electricity subsidies substantially accrue to the richer households (especially given that subsidies are currently not targeted in Zambia). We found that the electricity price increases are likely to adversely impact household welfare, especially among the poor. Our simulations show that welfare (captured as the reduction in real household expenditures) might decline by nearly 4% on average. However, breaking down the distribution of the welfare losses in deciles (i.e. 10% categories of households) reveals that poorer deciles likely suffer the largest welfare losses in comparison to their relatively richer counterparts. Figure 1 presents these welfare effect distributions in more detail. As can be seen in Figure 1, poorer household have a large total household welfare loss relative to the wealthier ones across the entire distribution. Naturally, the welfare losses lead to a 0.5 percentage point increase in extreme poverty. This translates to about 90,000 people likely falling into extreme poverty as a result of the electricity price hikes. To mitigate the impact of the electricity hikes on the poor, we simulated the poverty outcomes if government transferred the realised fiscal savings to the poorest 50% of the population. It turns out that this policy strategy would likely reduce extreme poverty by 4 percentage points, which is equivalent to lifting 649,000 people of extreme poverty if fiscal savings were transferred to the poor. This budget-neutral option is quite attractive in low income countries, such as Zambia, which are faced with the complex challenges of widening budget deficits, electricity deficits, and high extreme poverty. Government should consider budget-neutral policies that transfer realised fiscal savings as social grants to the poor. Subsequent reforms should focus on targeting any electricity subsidies to the poor to improve equity in electricity subsidy benefits. The rural electrification programme should be accelerated to improve access to the grid, especially for the rural poor. Further research that explores the viability of various budget-neutral mitigation strategies would add value to electricity sector debates and policies in Zambia. Maboshe, M., Kabechani, A. and Chelwa, G. (2009). 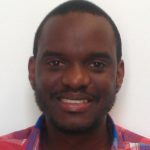 The welfare effects of unprecedented electricity price hikes in Zambia, Energy Policy (126) 108-117. Accessible: https://doi.org/10.1016/j.enpol.2018.10.041.